Developer : QiYo Creative Network Technology Co., Ltd.
Stop login support for Twitter and Amazon accounts. 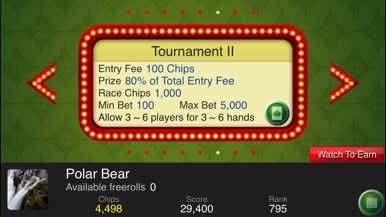 Play Pontoon 21 as if you were at the casino! 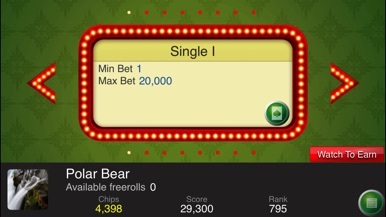 Play Pontoon against the dealer and see who can get 21 without going bust! Pontoon is the English version of the popular table game Blackjack. While Pontoon follows the same general structure as Blackjack, there are a few major changes to the rules that make Pontoon a challenging and distinct table game. ・ Pontoon pays 2 to 1. ・ Five Card Trick pays 2 to 1. 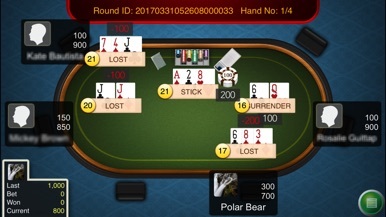 ・ Player must twist if hand totals 14 or less. 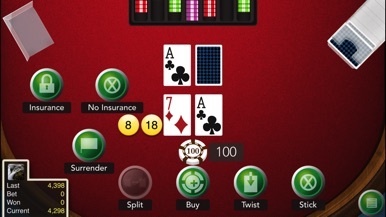 ・ Dealer must twist on soft 17 and stick on hard 17 or higher score. ・ When the game is a tie, dealer wins. ・ Split option available if the first two cards are the same, inclusive of Aces. 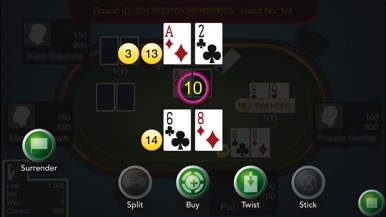 ・ Buy (double down) option available at any time on any cards and double after split is allowed, but only once per individual hand. ・ Shuffling after half of the 6-deck cards played. "Senate Channel" is the application for viewing News and Information of The Senate of Thailand. And also, you can watch the conference of The Senate of Thailand in Real-Time through our Live Channel. More by QiYo Creative Network Technology Co., Ltd.